MESA, Ariz. –After a two-run start by the Giants offense in the top of the first inning they were shutdown for the rest of the game. Athletics Jesse Chavez settled down after the first inning and only gave up five hits over 4⅓ innings. Matt Cain had a rough outing giving up for four runs in 1⅔ innings. 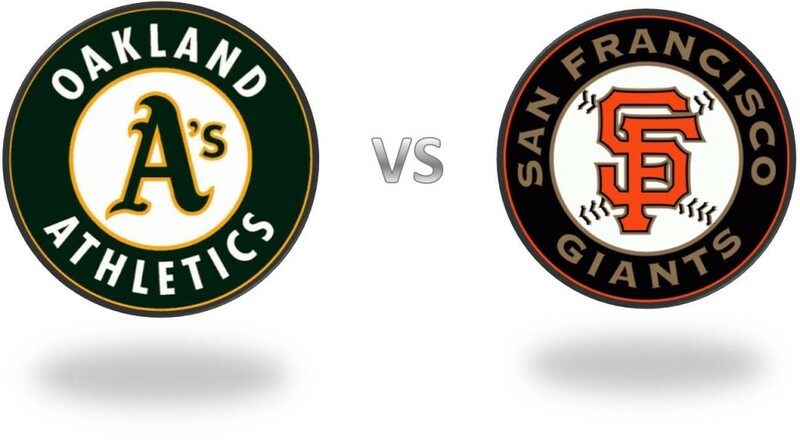 The Oakland Athletics beat the San Francisco Giants 5-2 Saturday in a split-squad game. Cain, in only his second appearance following elbow surgery, allowed six hits. He struck out one, and did not walk a batter. Cain’s day was a short one due to him not being able to locate as well as he wanted. His arm felt great,and he thought he had good stuff. He’s on schedule to be ready in time for the start of the season. Cain will go through his normal routine as h e prepares for his next start in five days. Billy Burns is is in a nice rhythm as he collected three more hits for a second straight game. Ben Zobrist doubled and drove in two runs while Eric Sogard collected a hit and drove in a run for the A’s as well. Burns has three triples this spring. Casey McGehee doubled twice and drove in both of the Giants’ runs. He’s 10-for-20 in exhibition play. Jesse Chavez gave up two runs, both in the first inning, on five hits over 4⅓ innings. He struck out four and walked none. Athletics: Chavez was able to make an adjustment after a rough first inning and ended on a solid note. Chavez was allowed to start the fifth inning, something that was important to him after failing to go three innings his last outing. A’s: OF Josh Reddick (strained right oblique) took part in the team stretch and threw from 60 feet. … INF Ike Davis (back) and OF Coco Crisp (sore left triceps) are taking an extra day or two off and should be back in action in the next few days. … RHP Jarrod Parker (Tommy John surgery) threw 20 pitches to hitters on Friday and will do so again on Wednesday. Giants: RHP Sergio Romo (shoulder) threw a successful bullpen on Friday and will see game action Sunday. … C Buster Posey got a routine day off. … RHP Tim Lincecum (neck) has shown no improvement. Giants: RHP Tim Hudson makes his second start of the spring Sunday against the Arizona Diamondbacks. A’s: RHP Sonny Gray will start for the A’s at the Milwaukee Brewers, with LHP Barry Zito also scheduled to see action. A’s Up Next: The A’s will be back together as one unit Sunday after a split-squad trip to Las Vegas, and it will be right-hander Sonny Gray taking the mound for the second time this spring, meeting the Brewers at Maryvale at 1:05 p.m. PT, live on MLB.TV. Gray will be followed by veteran non-roster invitee Barry Zito. Gray allowed two earned runs on five hits in his two-inning Cactus League debut, and Zito has allowed four earned runs in 4 2/3 innings in one start and one relief appearance thus far.